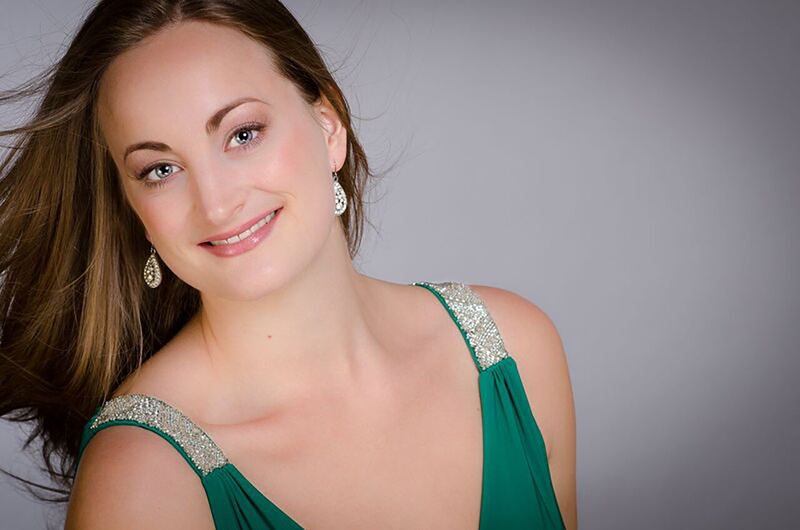 Scottish soprano Eleanor Dennis is a graduate of the Royal College of Music’s International Opera School and a Harewood Artist at the English National Opera where her roles have so far included Contessa Le nozze di Figaro and Micaela Carmen. Highlights in her 2016⁄17 season include Contessa for her debut with Scottish Opera and Helena in staged performances of A Midsummer Night’s Dream at the Aldeburgh Festival. On the concert platform, her engagements include Brahms’ Ein Deutsches Requiem (CBSO/Andrew Manze), Beethoven’s Christus am Ölberge (Bamberger Symphoniker/Rolf Beck), Britten’s A Spring Symphony (Vienna Radio Symphony Orchestra/Cornelius Meister & BBC Scottish Symphony Orchestra/Ilan Volkov), Elijah (Three Choirs Festival), Haydn’s Harmoniemesse (Oxford Philharmonic Orchestra/Sir András Schiff), Elgar’s Une Voix dans le Désert (CBSO/Andris Nelsons), Beethoven’s Egmont (BBC Philharmonic/Juanjo Mena), Beethoven’s Missa Solemnis (Three Choirs Festival) and Strauss’ Vier Letzte Lieder (Royal Philharmonic Orchestra/Martyn Brabbins). She has also appeared with the London Philharmonic Orchestra/Vladimir Jurowski, the Early Opera Company/Christian Curnyn and the Swedish Radio Orchestra/Daniel Harding. Her appearances at the London Handel Festival first brought her to prominence, and it was in the title role of Rodelinda that she made her first major break-through. The critics were unanimous in their praise. Fiona Maddocks, reviewing her performance in The Observer, wrote ‘she has a marvelous future. I’m not sure I can ever remember one who so obviously deserves to be a star’. In the 2012 Festival she appeared as Costanza Riccardo Primo prompting Hugh Canning to call her ‘a big talent’ and, in 2013, she returned to the Festival to sing Oresia in a performance of Telemann’s Orpheus with Ian Page and Classical Opera (of which she is an Associate Artist).